When a person dies, his/her heirs will need to go through probate to receive their inheritance. Probate is a court proceeding, and it is a lengthy process. On average it takes 12-18 months to close an estate through probate. The probate process entails multiple court hearings, court filings, and because of the complexity of the process, attorneys are often involved. During probate, wills may be contested and “creditors” might make false claims against the estate. Probate is also expensive. Between court costs, administrative costs, and attorney fees, a probate proceeding can cost between 3-10% of the value of the estate. For large estates, that could be a considerable sum. For these reasons, many people wish to avoid probate altogether. The most common mechanism to avoid probate is a living trust. At San Diego Esquire, we provide affordable estate planning services to California residents. 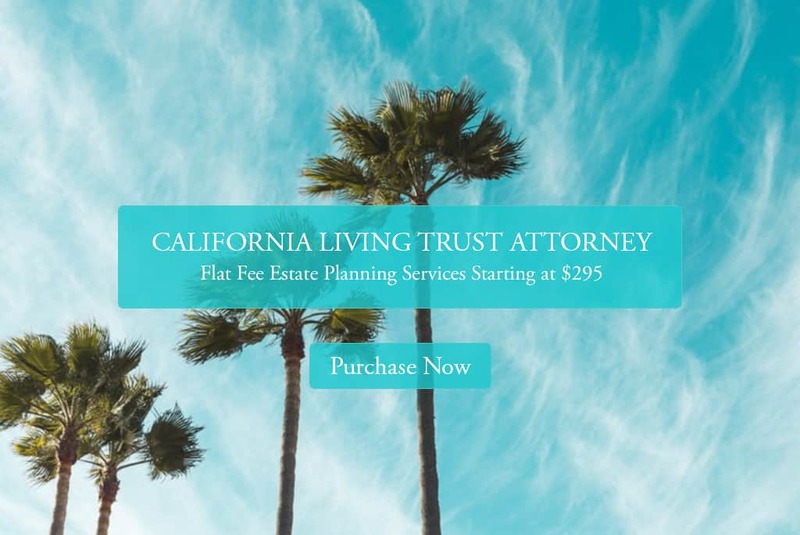 We can help you prepare an California living trust for as low as $495. Sign up on our website today to begin the process. A trust is a legal arrangement where assets are placed in a trust, which is like a legal “parking lot” and administrated by a trustee for the benefit of a beneficiary. A living trust is a trust that is set up during the lifetime of a person, and he/she can act as both the trustee and beneficiary. When a person sets up a living trust, real property, stocks, bonds, and other assets are transferred into the trust. The trustee can maintain complete control of the assets in the trust. Living trusts are completely revocable. A person can change the terms or revoke the trust whenever he/she wants. When person sets up a living trust, they usually name a successor trustee who will manage the assets in the trust if the trustee ever becomes incapacitated. If the trustee becomes incapacitated, the family can avoid a guardianship or conservatorship proceeding, which is another lengthy and potentially costly court proceeding. When the trustee dies, the successor trustee can take control of the assets in the trust, and his/her role becomes similar to an executor of a will. The trust document will dictate how the assets are to be distributed after the death the original trustee. The trust may dictate that the successor trustee distribute the assets over a long period of time, especially if the heirs are young children. Any assets in the trust are not part of the estate and do not go through probate. Assets can be distributed to the heirs much quicker and cheaper than a formal probate proceeding. Another advantage of setting up a living trust, as opposed to a will is privacy. Since probate is a court proceeding, all probate filings and proceedings are public. California law requires that an estate administrator publish notice of probate proceedings in a local newspaper. Anyone can view probate documents no matter what their intentions. Unscrupulous people have been known to scrutinize probate filings to take advantage of the estate. While the living trust is a way to avoid probate, it will not exempt the heirs from inheritance taxes, nor will it prevent creditors from making a claim against assets in the trust. A well drafted living trust can minimize the inheritance tax burden, but it will not eliminate it entirely. Like wills, living trusts can also be contested, and in some states the statute of limitation to contest a trust is much longer than the statute of limitations to contest a will. While there are plenty of advantages to setting up a living trust, they may not be for everyone. Living trust need to be set up by an experienced estate planning attorney. Ownership of assets must be transferred into the trust. In addition, the trustee may need to continue to move assets into the trust. The cost to set up a trust is typically a few thousand dollars. For large estates, this sum is considerably less than the cost of probate, but for smaller estates this may be more expensive than probate. Estates with less than $150,000 in assets do not have to go through the full probate process. Even if someone sets up a living trust, they should still make a pour over will. The pour over will covers assets that are not part of the trust. Oftentimes, people who have set up a living trust opt for a pour-over will, which dictates that any assets not in the trust are to be transferred into the trust upon the death of the trustee.